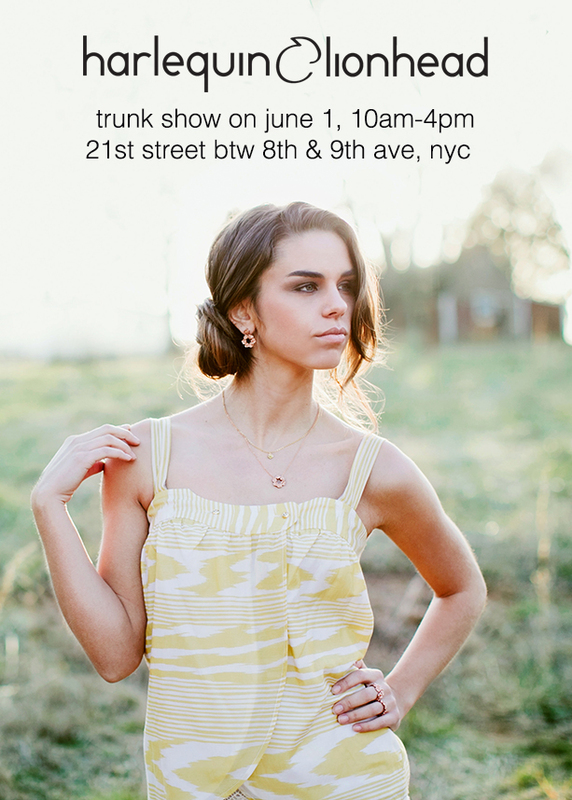 NYC Fans of Harlequin&Lionhead, I'm going to have my first 2013 Hester Street Fair trunk show this coming Saturday. Come visit me after your brunch! There are so many cool things at this little gem downtown. Here is a sneak view of the cool people you may meet there. 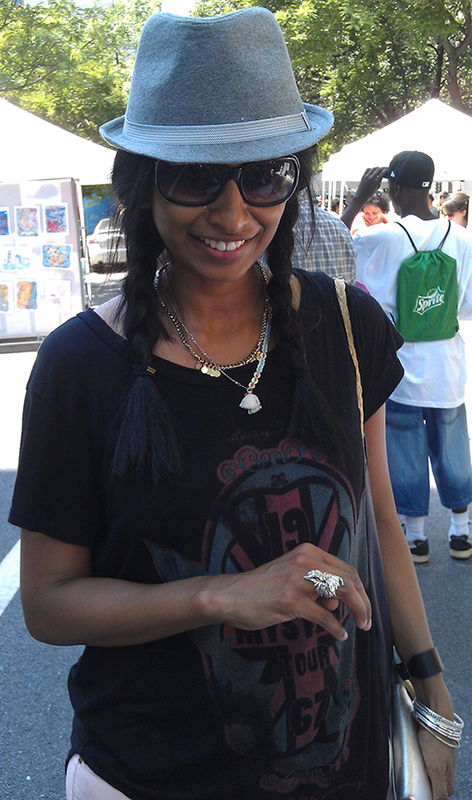 Last Sat I was at Crafts In Chelsea as one of the artisans on display. Crafts In Chelsea happens twice a year in Chelsea, Manhattan (one in Spring around May/June, and another in Fall around Oct). 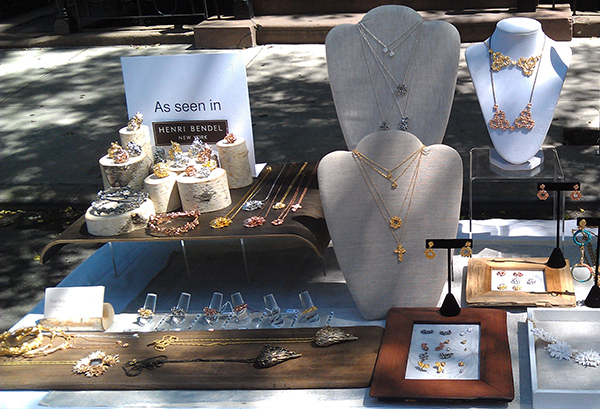 Although it is a street event, only artisan goods handmade in US are featured. Most of us are based in NYC. I love being at the market. The neighborhood is lovely and people appreciate the unique qualities of handmade goods, from jewelry, clothing, illustration arts, home decor, toys to skincare products. This is one of my NYC trunk show locations every year where I get to meet my customers in a casual setting and play dress up in the glorious spring or comfortable fall weather. If you miss it this past Sat, remember to come by in Fall! Harlequin&Lionhead Whirls #1 Ring in White Gold plating. This year, it was lovely as usual but a few highlights deserve to be mentioned. First of all, my first customer of the day was a generous Swedish girl who bought my little rose chain bracelet (soon be available online at my Etsy store) and paid me extra for it because "it is beautiful." I have never had a customer did that before - the fact that she appreciates my work so much already made my day. And then a few of my customers came by to say hi. It is always nice to see a few familiar faces and know you are out there looking for Harlequin&Lionhead. It motivates me to continue to create. Thank you dearies! And the greatest thing is this wall facing me the whole day. 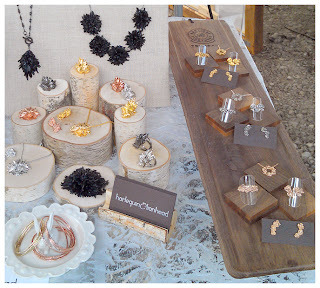 Thank you PS 11 for hosting such a great event for handmade artists and designers like myself. Your support of creativity and arts is what makes the world a better place! Meet Harlequin&Lionhead this Sat in Chelsea, NYC!